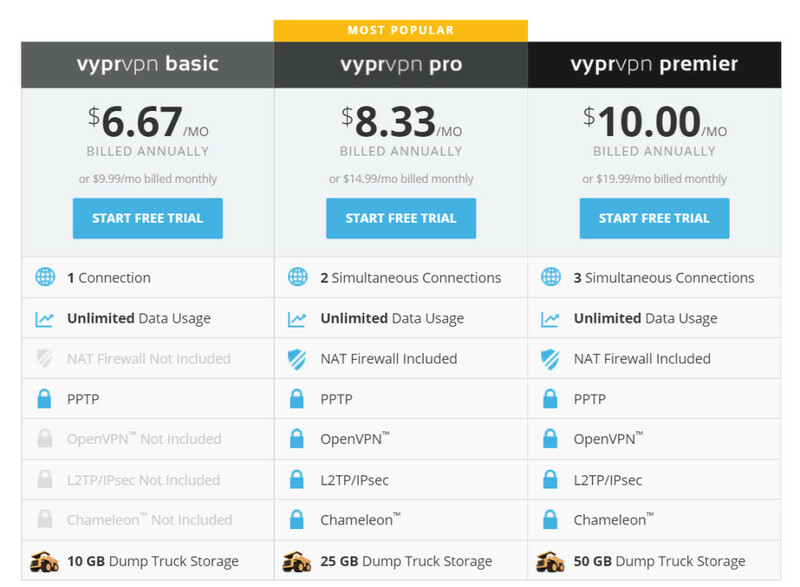 VyprVPN offers three pricing plans with different number of options and functions: Basic, Pro, and Premier. The Basic plan costs $9.99 a month or $80.04 a year; Pro is $14.99 and $99.96 respectively; Premier – $19.99 and $120 respectively. More pricey plans mean more economy. Basic is the least functional plan, it offers only 1 connection, only PPTP protocol, and 10 Gb in the cloud. On the other hand, Premier allows up to 3 simultaneous connections, several protocols, and 50 Gb in the cloud. The main feature of the VyprVPN network is that the entire network works in-house, the company has no third party servers. It allows full control over the user experience end-to-end. There are quite a lot of IP addresses: more than 200,000 on more than 700 servers worldwide. There are especially many servers in Asia. 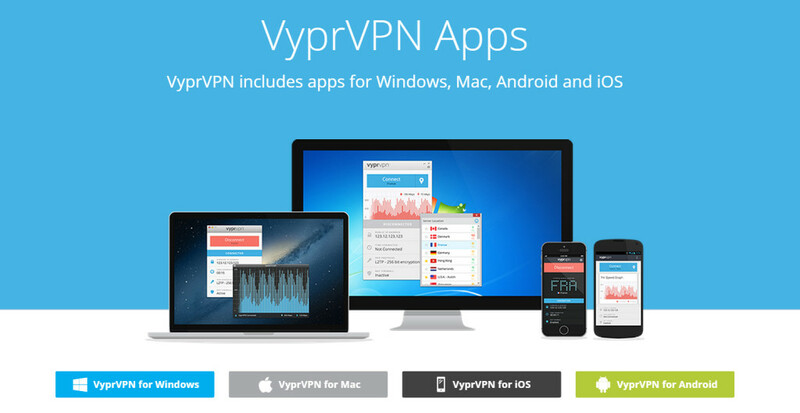 The VyprVPN client exists for Windows, Linux, OS X, iOS, Android. PPTP, OpenVPN, and L2TP/IPSec are supported (depending on the plan), as well as the proprietary Chameleon protocol developed specifically to avoid DPI spying. Chameleon allows to circumvent various bans even in the countries where authorities resort to sophisticated methods of censorship that even traditional VPN cannot bypass. The NAT firewall and 256-bit encryption provide an additional security layer. Goldenfrog.com offers exemplary user support. Downloading and installing apps is a brief, there are multiple instructions and guidelines for each supported platform. In case of any problems or questions you can submit an email request and get response within 15 minutes, 24/7. There is even a live instant chat. купил сервис на месяц,а через 5 месяцев обнаружил, что у меня все это время списывали каждый месяц плату с карты!!!! мошенники,у них по умолчанию стоит такая оплата!! !